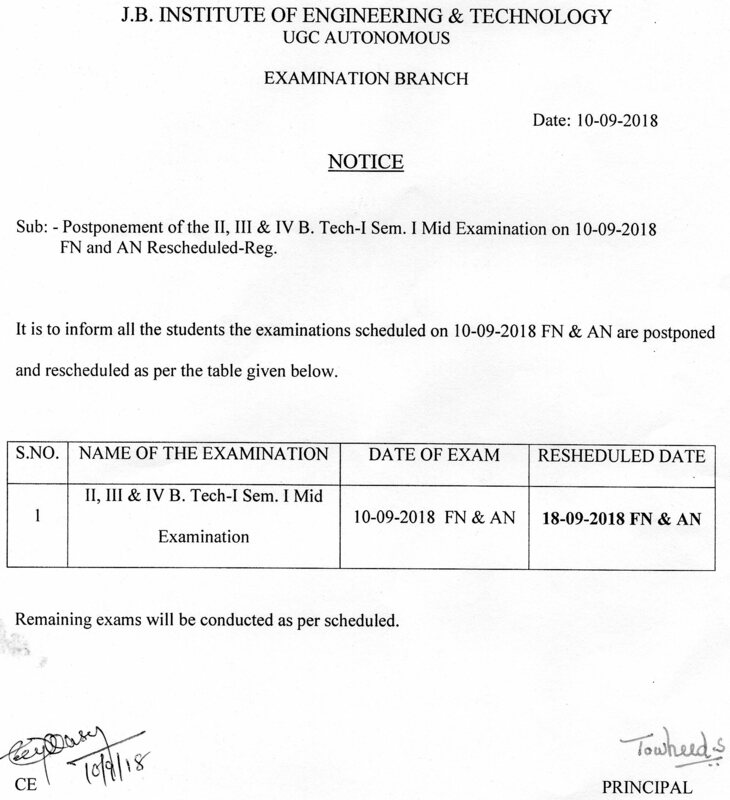 The Examinations of II, III & IV to be conducted on 10-09-2018 are rescheduled to 18-09-2018. 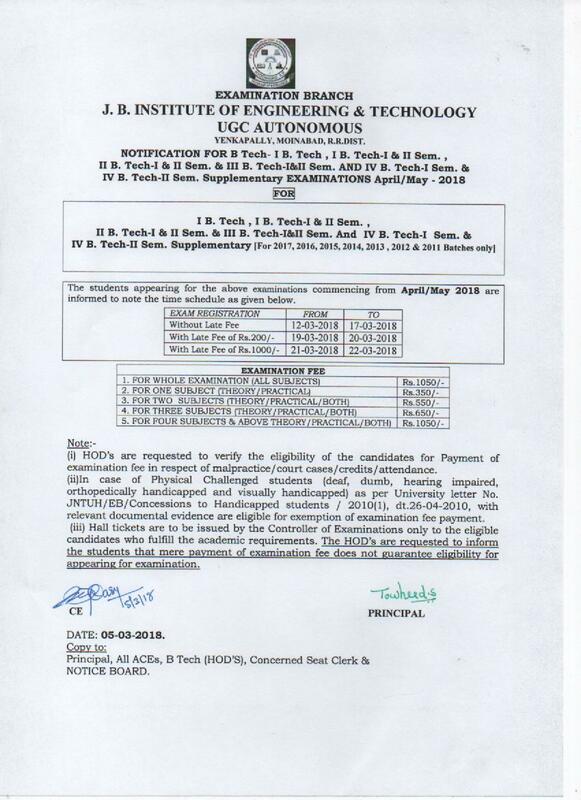 Notification for Examination Fee Payment of I II III IVBTechIISemesterRegularExaminationApril-May-2018. 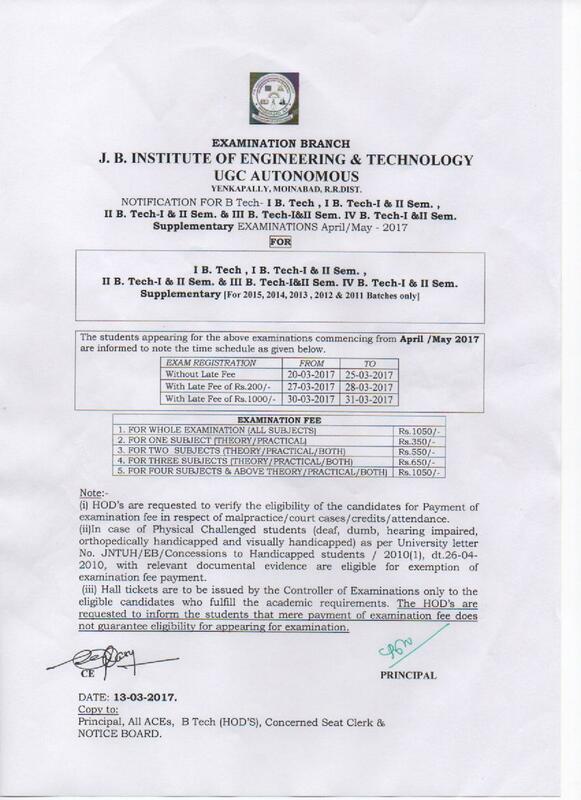 B.Tech 19-11-2016 Exam Postponement and Rescheduled Circular. 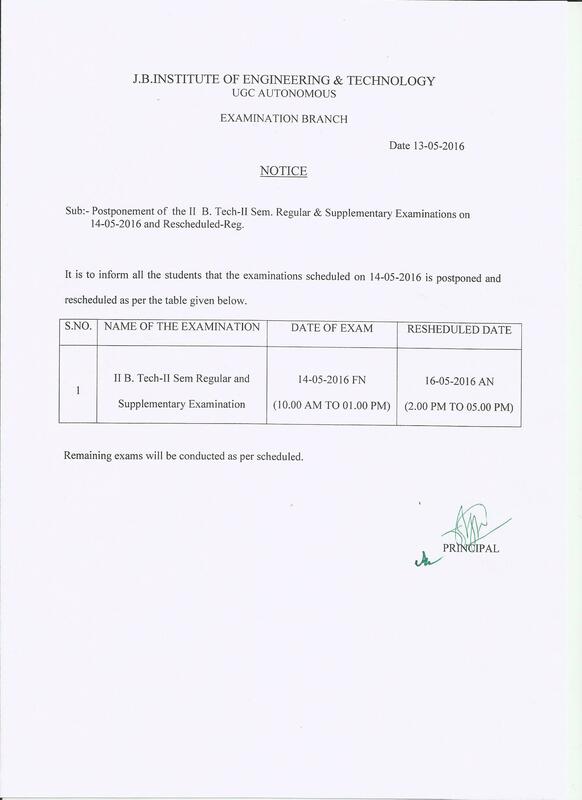 Autonomous Supplementary Examinations Notification Oct.2016. 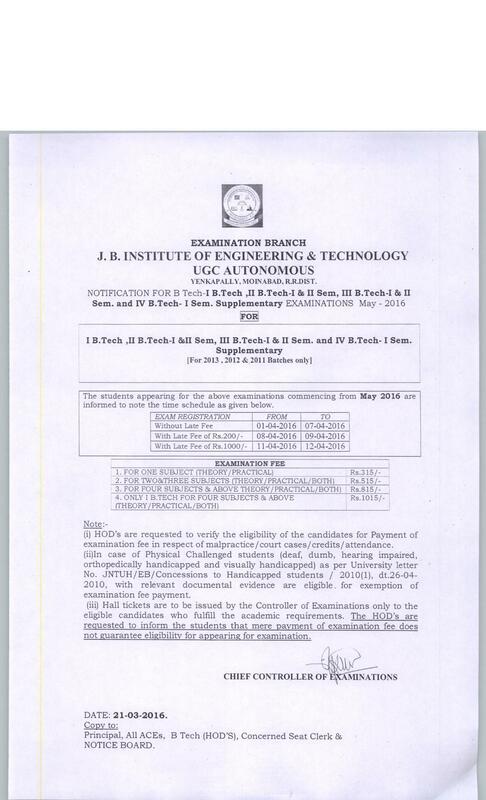 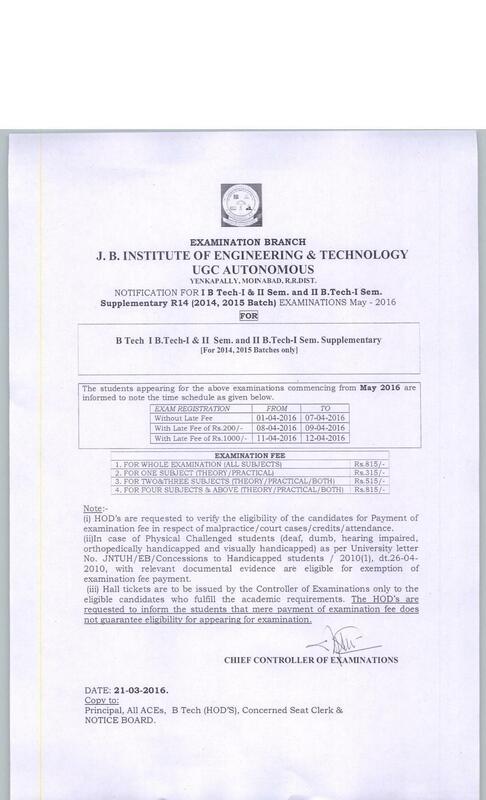 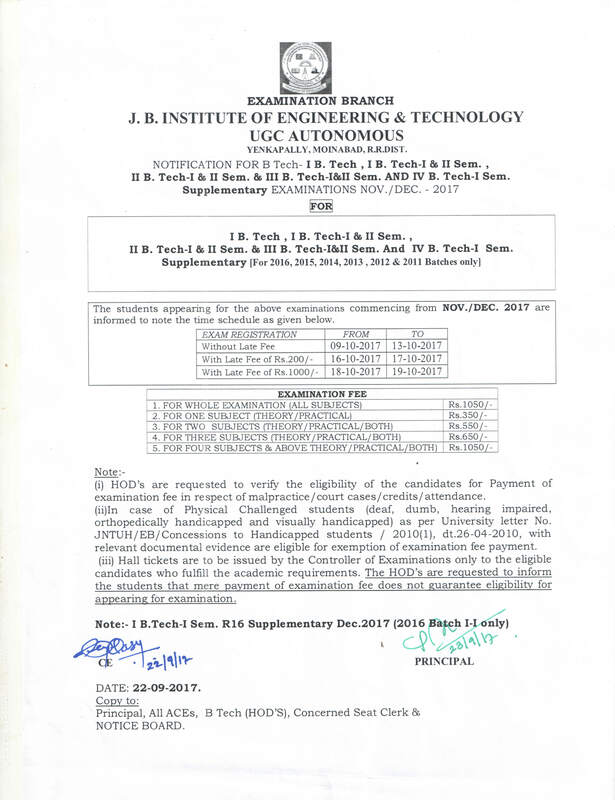 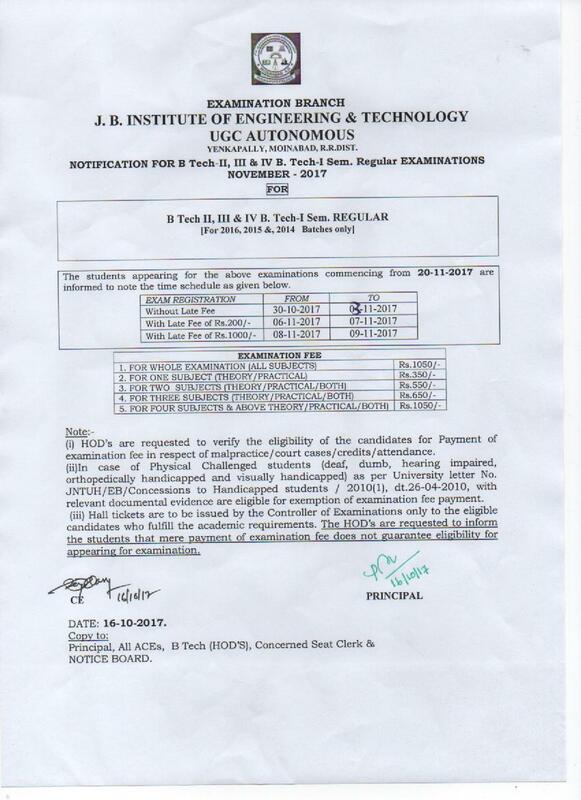 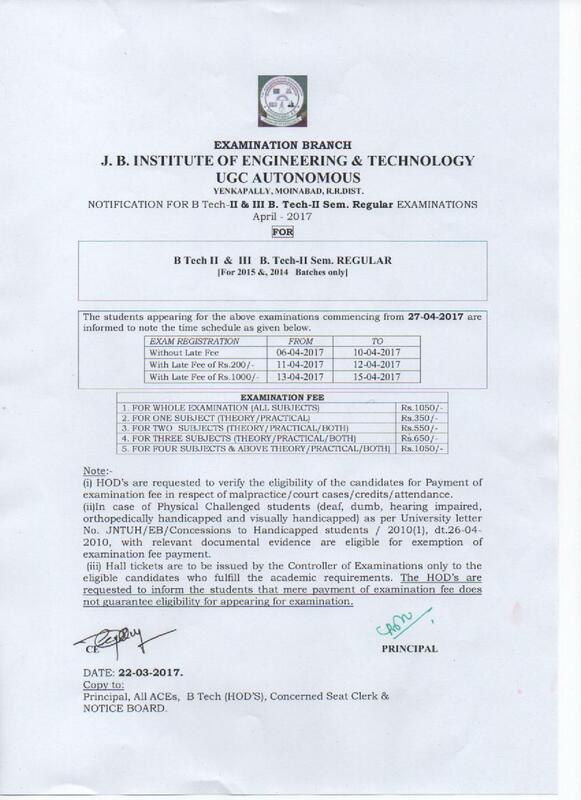 Notification for II B.TECH-II SEM REG. 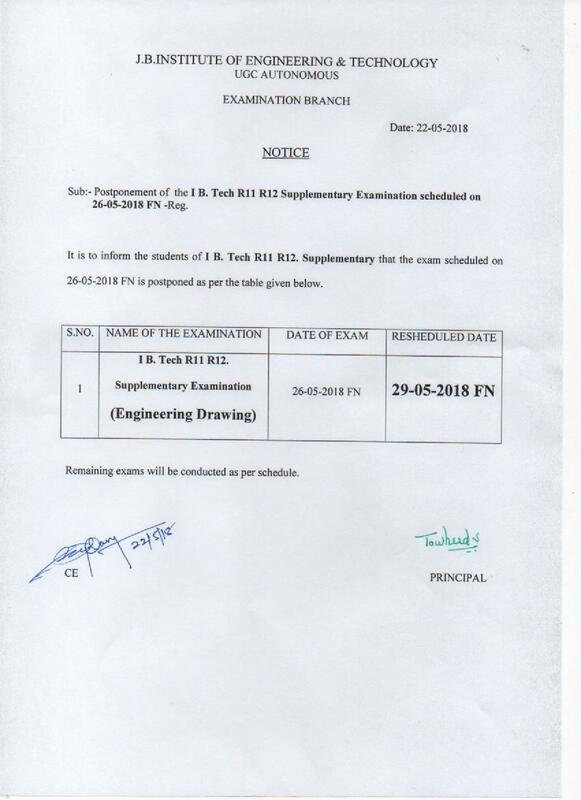 AND SUPPLY EXAM ON 14-05-2016 FN POSTPONEMENT AND RESCHEDULED ON 16-05-2016 AN.-REG. 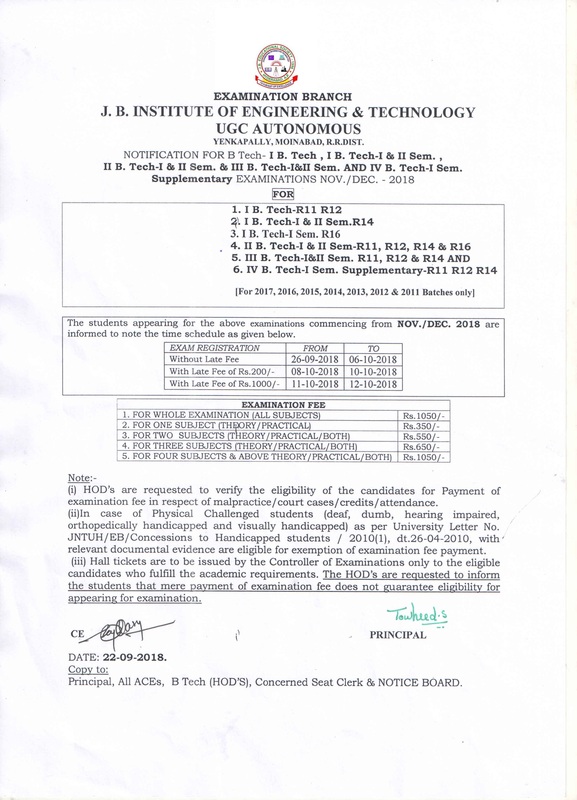 Autonomous I M.Tech-I Sem Supply on 19-10-2015 and 20-10-2015 are postponed and rescheduled to 26-10-2015 and 27-10-2015. 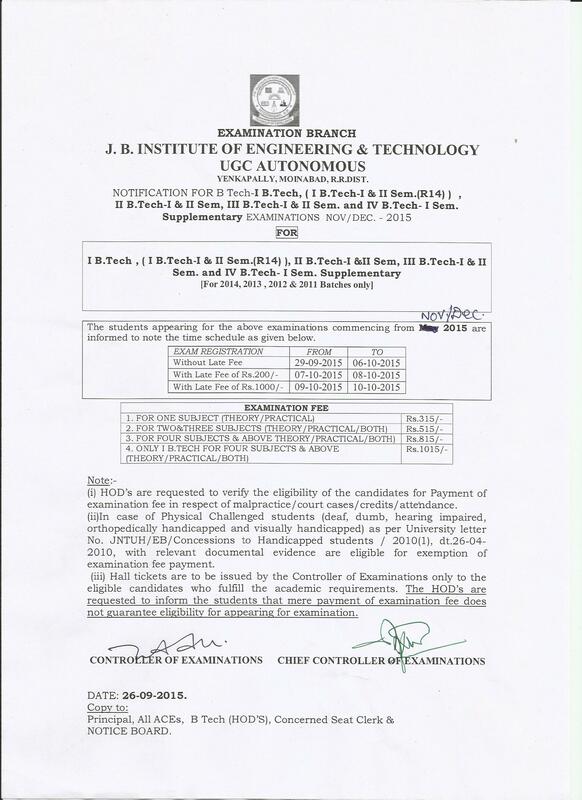 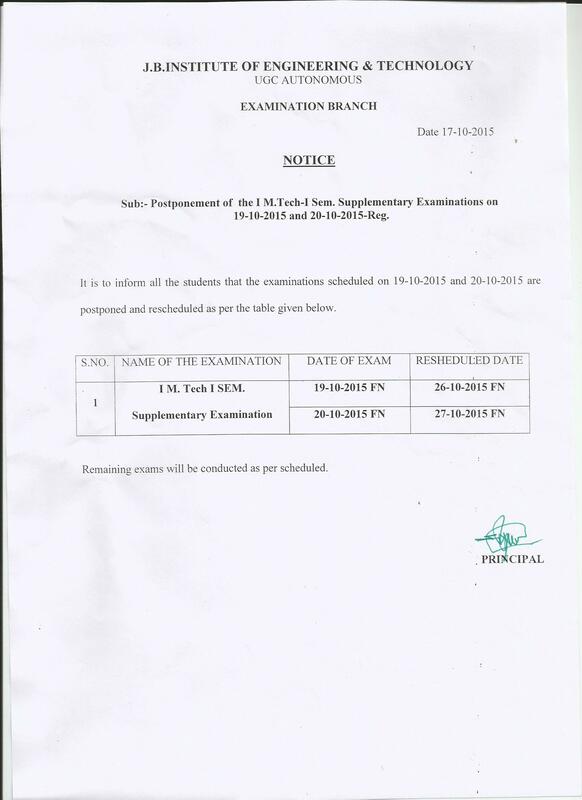 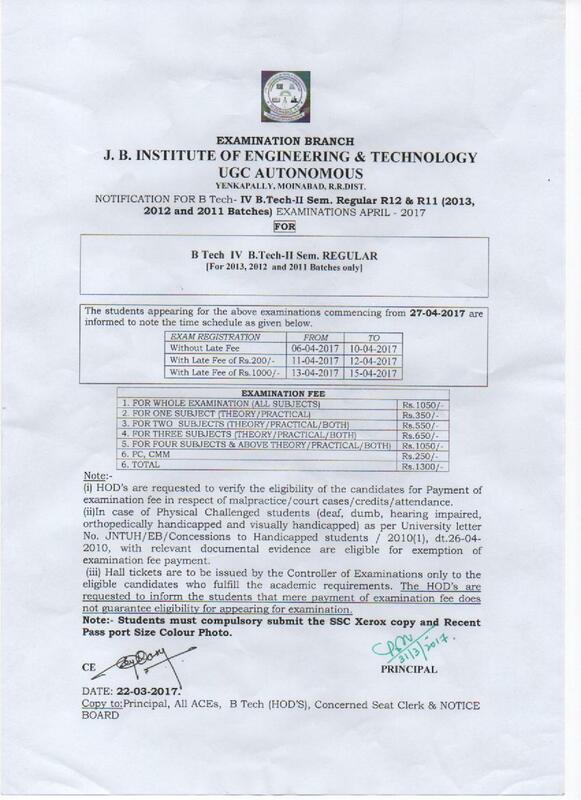 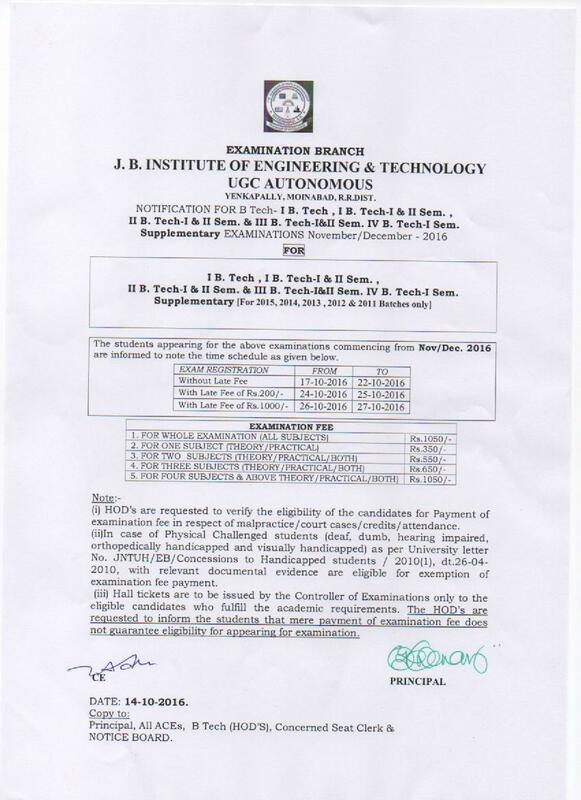 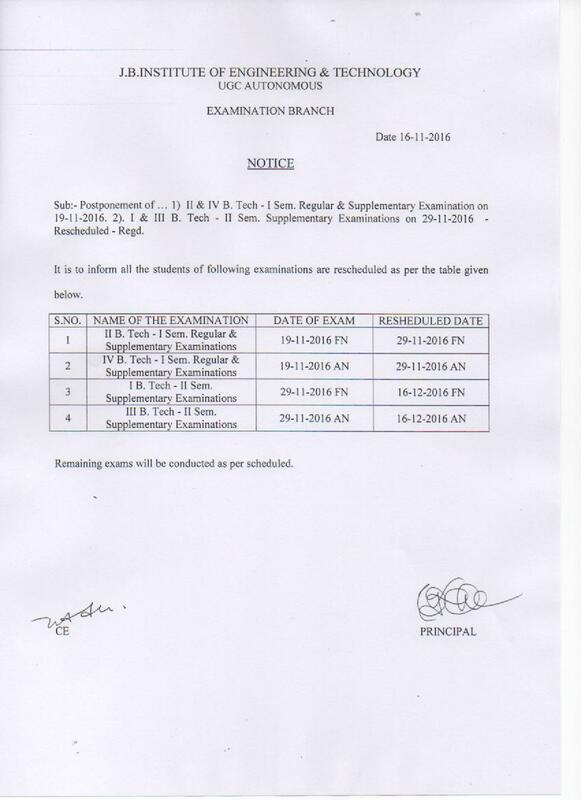 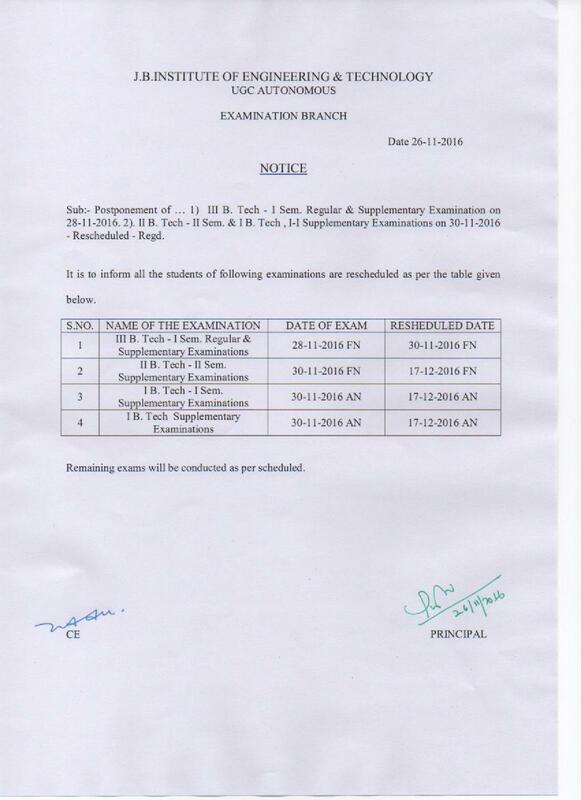 B.Tech Supplementary Examinations Fee Notifications Oct.2015. 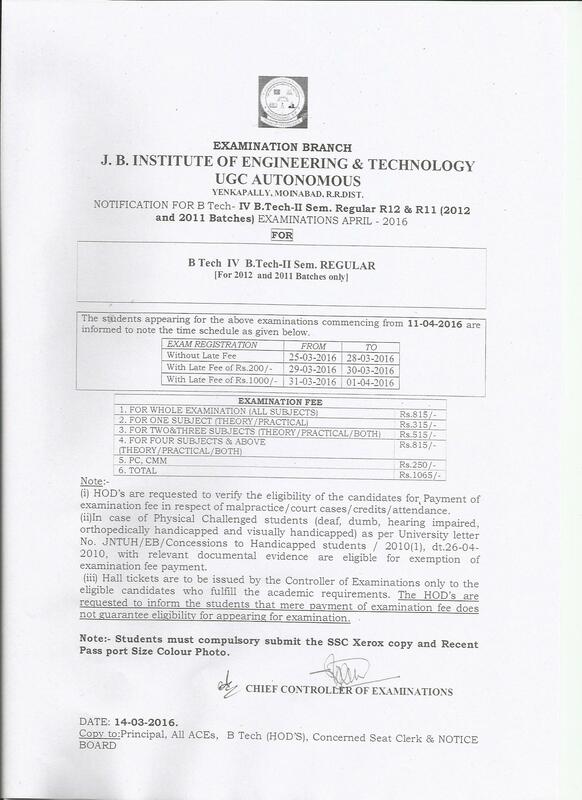 Final Year Students Undertaking Form for Exemption of One / Two Subjects.